Bentley Motors as a marque has its roots firmly planted in British motor racing history. 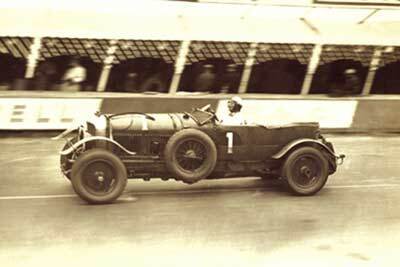 Tales of Bentley Boy wins at Brooklands or Le Mans and the famous ‘Blue Train’ race are motoring folklore gold dust. Over the last eight decades Bentley Motors have become better known for luxury performance saloons than for sports cars and racing victories but since Volkswagen ownership, the marque has come full-circle, taking to the racetrack once-again, winning at La Sarthe and tempting enthusiasts with visions of possible future Bentley super cars. As part of our Best of Marques blog series, Carphile.co.uk select five of our top 5 classic Bentley cars from the British automotive legend, from concept cars to ground breakers to Le Mans winners. The 1980s was a decade when Bentley started making exciting cars again. While the revival started with the Mulsanne, with the Turbo R Bentley took this up a notch, adding grip and handling to straight-line pace. Bentley engineers re-tuned the suspension and fitted wider tyres to deliver that extra a grip. Which certainly came in handy in a car weighing in at over 2 tonnes and with a 6.7 litre V8, turbocharged V8 under the bonnet. 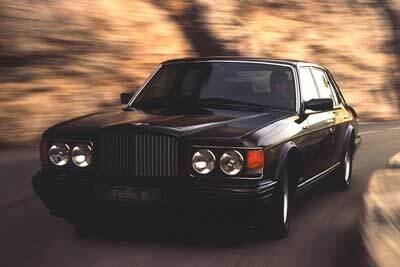 In 1985 when the Turbo R was released the engine produced 298bhp by the time the final Turbo RT models were made in 1998 the power had swelled to 420bhp, enough to propel the 2,450kg Bentley to a top speed of over 150mph. While petrol prices aren’t as low as 1985 (and at 16mpg, the Turbo R certainly likes a sip of unleaded), there is still a lot to love about the car. Best of all, prices for this future classic start at around £10,000. 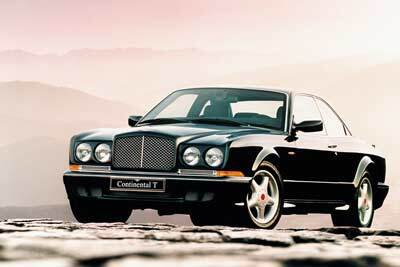 Bentley aren’t the kind of company that build hot-rods but with the Continental T (from 1996), they got pretty close. 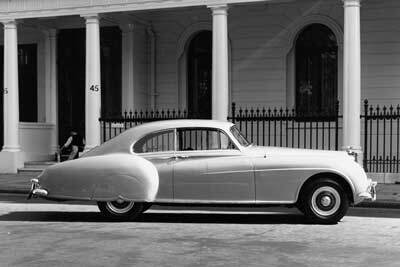 Whipping 4 inches out of the wheelbase of the regular Continental coupe, this reduced the weight and made the car more agile in the corners. Then they tweaked the engine management system so the Turbocharged 6.7 litre V8 pumped out 400bhp and a whopping 590 Ib ft (this increased to 420bhp and 650Ib ft in 1997 – making it the torquiest production engine in the world at that time). Hot-rodders would have approved of the Continental T’s turned aluminium dashboard that replaced the wood-trim and evoked the style of racing Bentleys of the 1920s. Under the wheelarches, fatter 18in wheels covered huge 13.4inch ventilated discs, capable of halting this 2.5 ton bruiser up from its 170mph top speed. Bentley made less than 1000 Continental T back in the late nineties and many abroad. A few years ago they had fallen from their £220,000 new list-price to a more attainable £30,000 but prices have rallied since then, with the very best easily fetching double (or more) so if you’ve always lusted after this sharp-suited Hot Rod, the Bentley Continental T would be a classic Bentley to buy while you still can. Revealed at the Geneva Motor Show 2015, the Bentley EXP 10 Speed 6 is a two-seat concept car that hints at what a Bentley sports car could look like in the (near) future. EXP refers to ‘Experimental’ and while the car remains a concept there are strong rumours that the EXP 10 Speed 6 will make it into production around 2018. This would give Crewe a lighter sports car that could do battle with the likes of the Ferrari 488GTB, Audi R8 and Porsche 911 Turbo and inspire a whole new generation of Bentley boys for the 21st century. 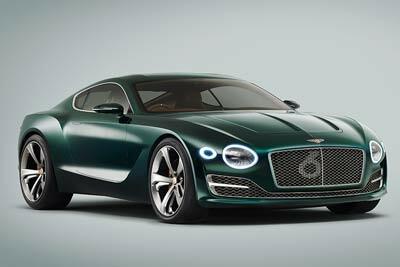 At carphile.co.uk we hope these rumours are true as the EXP 10 Speed 6 has all the makings of another Bentley superstar written all over it. In the case of the Bentley S2 Continental, the cars game changer status was both good and bad. Let’s start with the good. It was the first outing for the iconic 6.2 litre aluminium V8, one of the great engines of the 20th century, which replaced the venerable straight 6 and remains in production (although heavily developed over the years) to this day. On to the bad. The S2 was chassis built in the old-fashioned sense at a time when monocoque construction was really starting to take over. While there’s nothing wrong with that per se and some of the Bentley S2 variants from coach builders like Park Ward, Mulliner and James Young were truly stunning and are highly sought after today, the S2 heralded the twilight years for the great coach building tradition (Park ward had been taken over by Rolls Royce in 1939 and H.J.Mulliner in 1959) a craft/artform that dated back centuries. The Bentley Speed 6 was released in 1928, as a sports version of the Bentley 6 1/2 litre saloon. The Speed 6 would go on to become the most successful racing Bentley of all time, winning the Le Mans 24 hour race in 1929 and 1930, in the hands of “Bentley Boys” Woolf Barnato, Tim Birkin, and Glen Kidston. It was a Speed 6 that achieved legendary status as the Blue Train in the famous race. Do you agree with our top 5 Bentley cars? Which five Bentley classic carswould you choose? Please let us know by commenting below. Us Bentley buffs certainly like reading about and finding out more on our very much loved cars. The late Turbo R is my favourite for looks, the sharp edges and square look give it a huge presence and a joy to behold. They are all so lovely though and I am sure we would all have one of each if space and money were in plentiful supply.